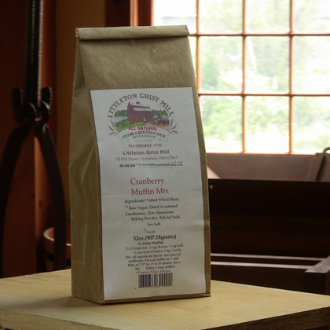 Our Products >> Cranberry Muffin Mix 32 oz. Amount per serving: Calories 260 Fat Cal 5 Total Fat 0.5g Sat Fat 0g Trans Fat 0g Cholest. 0mg Sodium 630mg Total Carbs 58g Fiber 2g Sugars 19g Protein 5g.